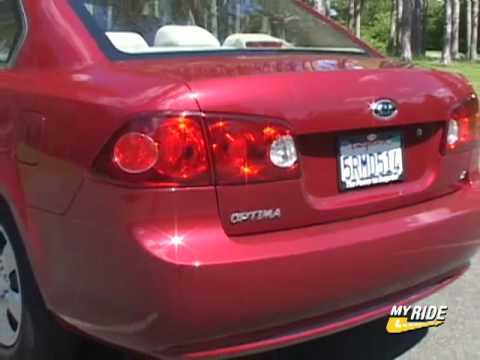 Kia Optima is the most dependable and enjoyable automobile we have every owned. Our 2006 Kia Optima is one of the best cars I have ever had. And that ranges from a '46 Ford coupe hot rod, to a '70 corvette stingray. It runs well, is most comfortable on long drives, handles like a dream, and gets good gas mileage. Since purchasing it new in 2006, the only mechanical work done has been 3, 000-mile (now 7, 000-mile because of upgraded oil!) Regular service: oil change, filter, and 10-point vehicle check. We have every feature available on the car, and from leather seats to sun roof, it represents all we want in a family car. Right now, we have 117, 000 miles on our Optima, and I'll probably have it checked thoroughly and new tires all-around, and keep it from now on out. It is that good of a car! Kias are kind of awesome! I bought my Kia used for $3000, with 170, 000 miles already on it. I didn't expect it to become my household's workhorse, but it definitely has it is old and a bit squeaky, but it starts right in all weather, all year round, and drives smoothly with reasonably good gas mileage. It is a sturdy little sedan, which we use for all our shopping and errands. My husband takes "his" big Ford to work, but everything else happens with the Kia. I had no idea that Kias were such wonderful vehicles. Just a good basic reliable car. Great personal vehicle. Are great family vehicle. My Kia is a great dependable car. It has great gas mileage. It drives great. It's the most dependable car I've ever owned. It has great performance it gets up and goes when you need it to. I've never had a problem out of it I have took many trips with it. It's somewhat of a small vehicle but has room for 5 people. Not much leg room in the back. It has great heat and air. The sunroof allows the extras along with the boss sound system. It's a great vehicle for a small family are someone that is a first time driver. 2006 Kia Optima: 300k miles - Hold On To That Feeling!